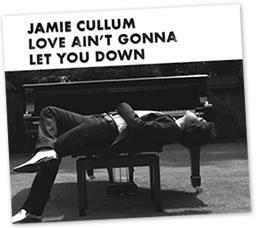 HomeJamie Cullum NewsNEW SINGLE – Love Ain’t Gonna Let You Down – Available on iTunes Monday!! NEW SINGLE – Love Ain’t Gonna Let You Down – Available on iTunes Monday!! Jamie’s superb new single “Love Ain’t Gonna Let You Down” can be downloaded from here on Monday 30th August!!! It’s the Cenzo Townshend mix which is the radio edit and it will be available from all the usual digital retailers.